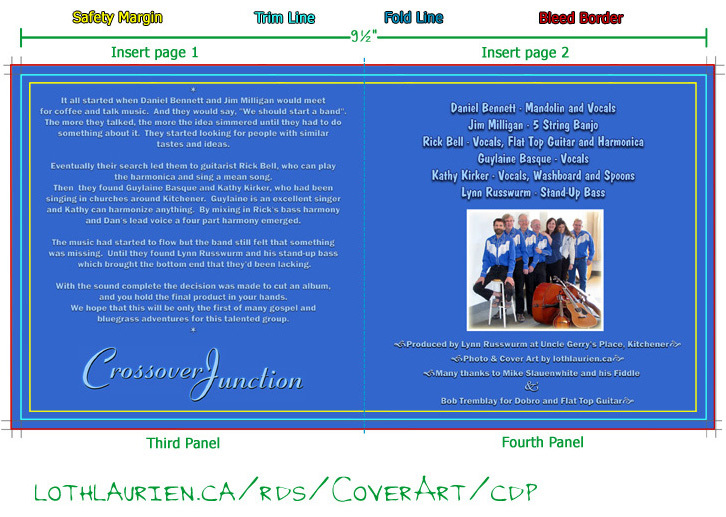 The two Crossover Junction panels pictured above could make up the artwork needed for the wraparound jacket option. 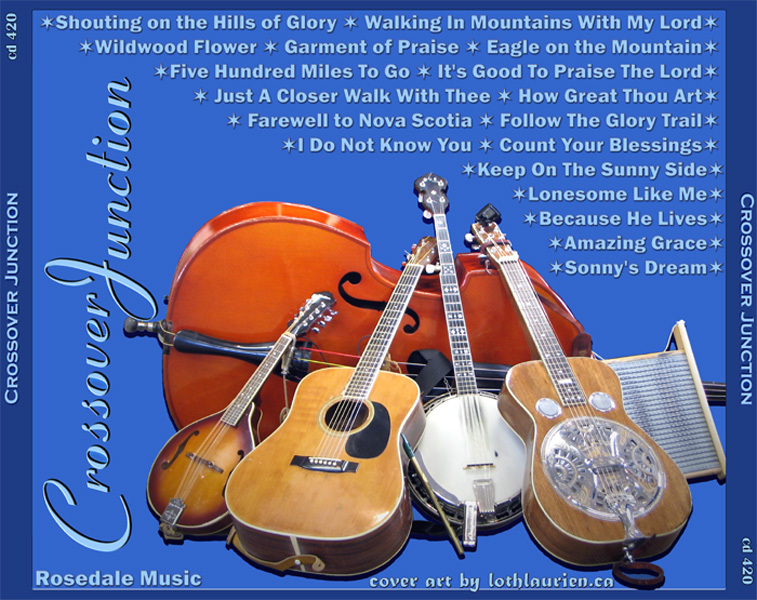 This artwork would be printed on a cardboard sleeve in the same way that record albums were printed in days gone by. This type of manufacturing can be more economical to produce as well as being a good environmental choice. Yet the industry standard remains the jewel pack, probably because the spine makes CDs easier to buy, sell and organize. 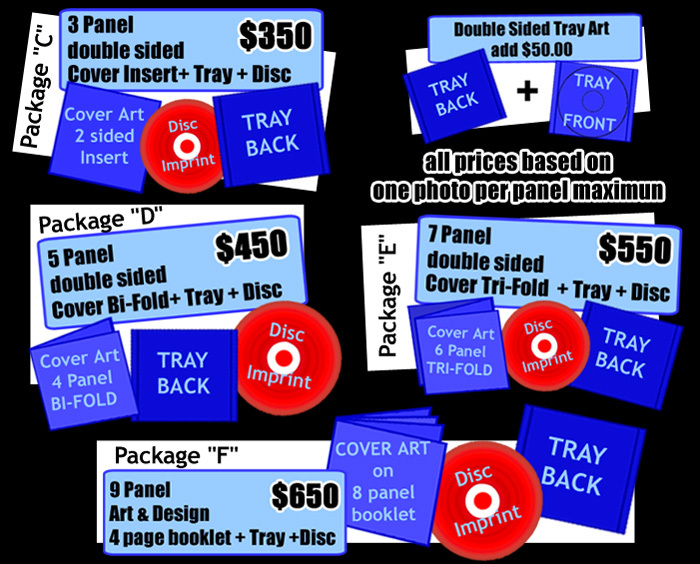 Here again, the simplest Lothlaurien package includes two panels, the above cover art combined with the jewel tray back pictured below. 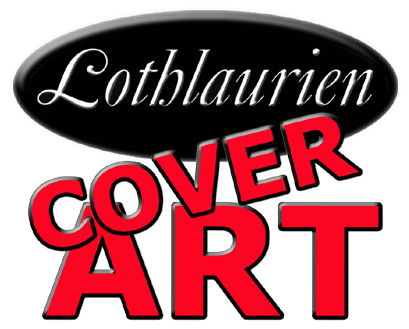 In addition to the two panels, all Lothlaurien CD Art packages include the CD Imprint artwork. The CD Imprint would be stamped right on the disk during the manufacturing process. Alternatively if you're doing a smaller production run, you can choose from various consumer home CD labelling systems currently on the market. 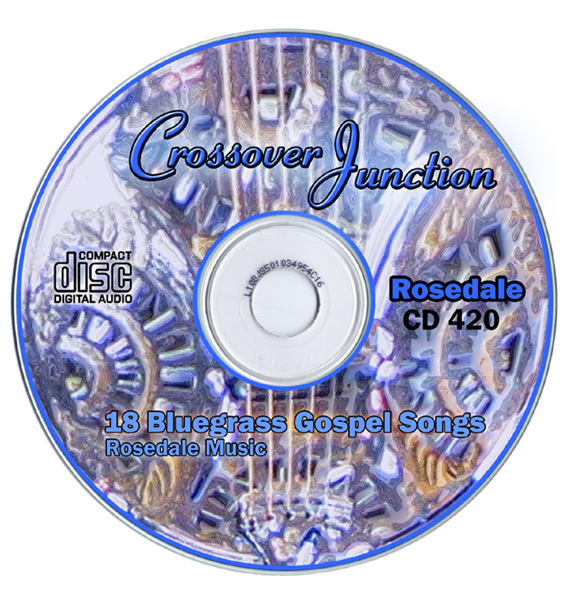 Of course the other compelling reason for jewel case packaging is the variety of additional material that can be included with the cd. In the days of vinyl, consumers expected the luxury of images and information that could be included on and in the record album. A wealth of imagery and biographical information could be beautifully arrayed on the old 12½″ x 12½″ record album covers. All the songs might be listed inside on the inner paper sleeve, or sometimes extras like a folded poster could be found inside the album jacket. Since 5″ cd covers are tiny by comparison, consumers tend to expect more than a single cover picture when they purchase their cds. 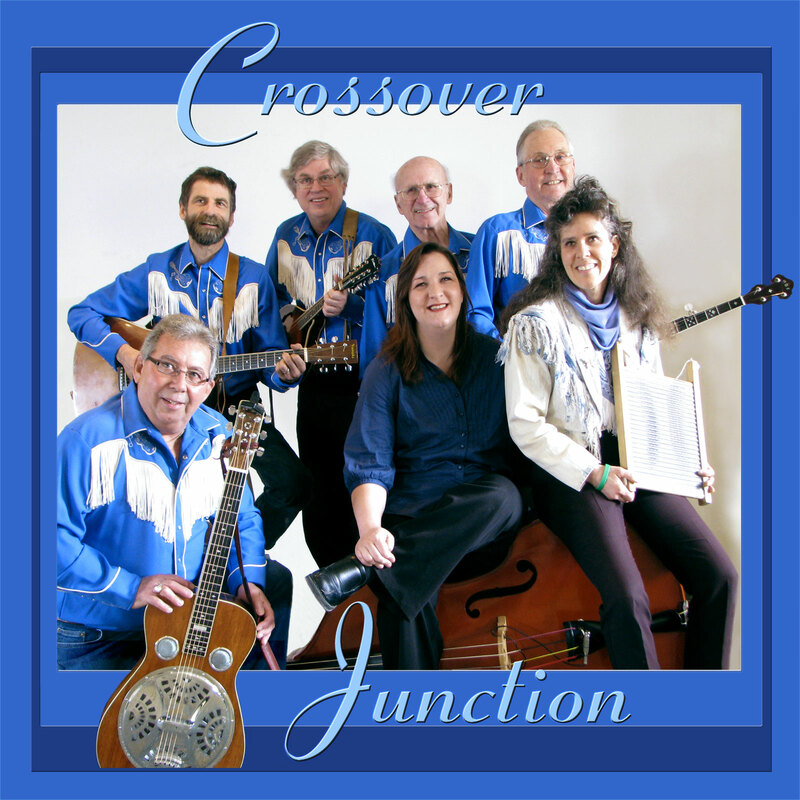 More usually CD Cover Art is found on the front page of a booklet. 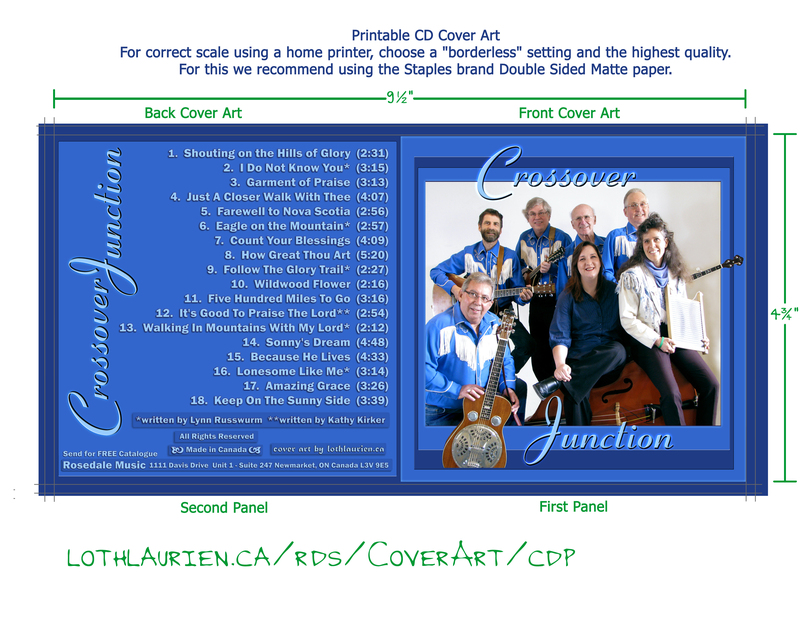 By adding two additional panels to your package you can include a four page Bi-Fold with your cd. 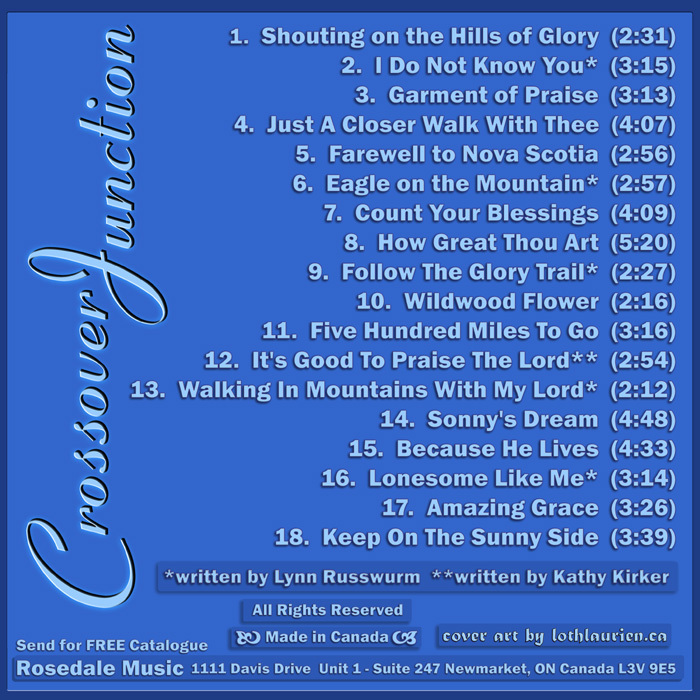 Your booklet can include biographical information, song lyrics, artwork, publicity or concert photographs. Folded Mini Posters are more commonly being included with packaged cds as well. 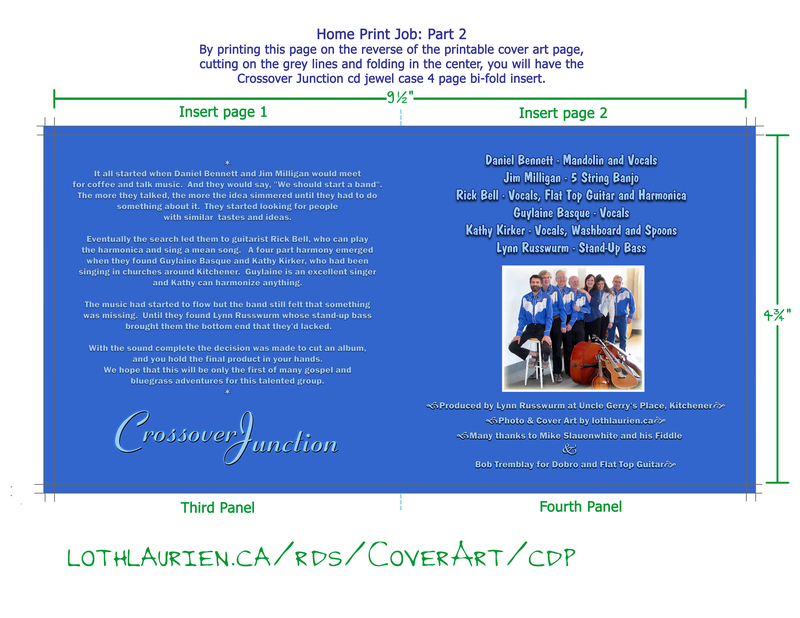 Click on the above Crossover Junction insert images for a high resolution 8½″ x 11″ printable version of the 4 page Bifold Insert. 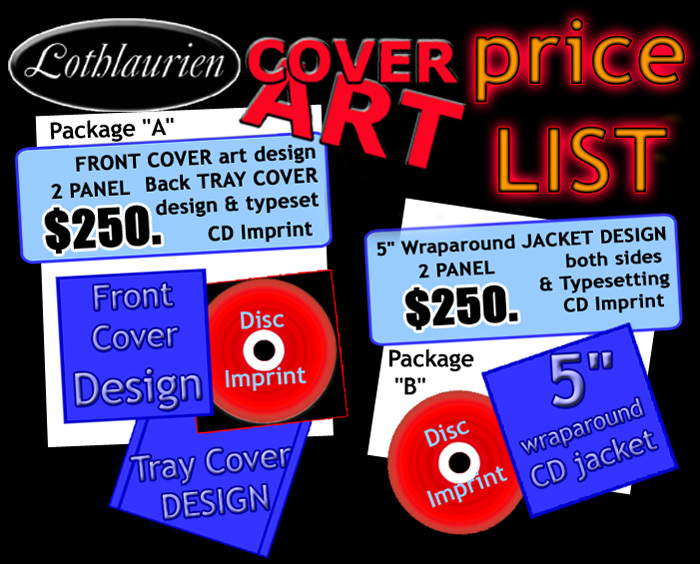 There are so many different ways to package cds, we've broken down the more standard configurations into flat rate price packages to simplify ordering. Naturally we are also available to accommodate something completely different. 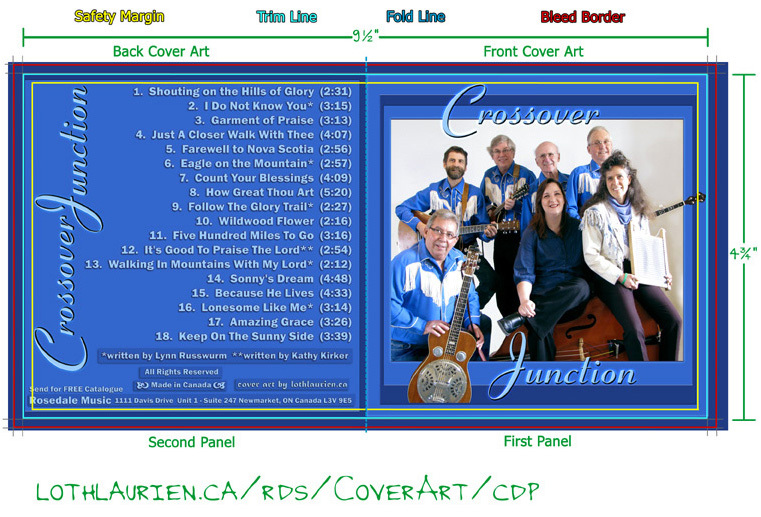 Our CD Cover Art packages are priced primarily by the number of panels required involved. Included mini posters depend on requirements.